SFAPAL, Inc. was formed in 1983 by 5 local PAL chapters, Jacksonville, Kissimmee, Miami Beach, St. Petersburg and Tampa. 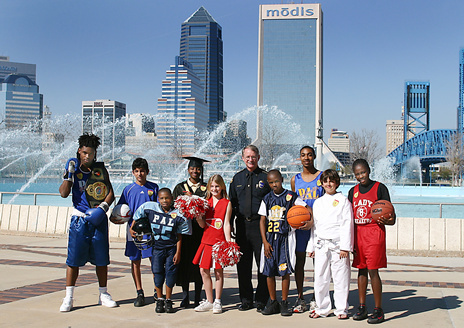 The Police Officers involved had a goal of developing PAL Programs in every city and county in Florida, so youth would have an opportunity to know Police Officers and Police Officers have an opportunity to understand youth. By using athletic and education based programs during after school and weekend hours, police officers working with youth have decreased the amount of free time youth have available for negative activities. Today SFAPAL has 52 member cities and growing. Police Departments and Sheriff's offices realize the importance of prevention in today's society. More than any other profession, Law Enforcement Officers realize it is more cost effective to prevent crime than to incarcerate after the crime has been committed. Since the first PAL was founded in New York City (1914) Law Enforcement Officers have contributed millions of hours to America's youth. 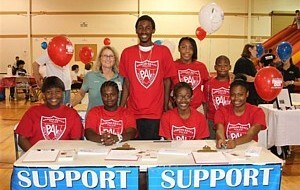 Florida has led the way by being the first statewide PAL Association in the United States. Other states, California, New Jersey, Ohio and Massachusetts have followed Florida's lead.